Yesterday was a dark day for France. A major fire tore through the medieval cathedral of Notre-Dame in Paris, one of France's most famous landmarks. The blaze burned for eight hours. 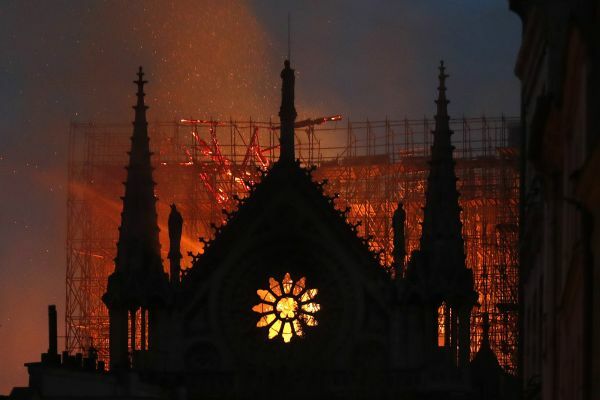 The 850-year-old building's spire and the roof collapsed, but the main structure, including the two bell towers, have been saved by 500 firefighters who worked to save the cathedral and the artefacts inside it. The cause of the fire isn't clear yet, but the officials suspect it could be because of the renovation work that began after cracks appeared in the stone. He also vowed to rebuild Notre-Dam. Macron said, "We will rebuild Notre-Dame because it is what the French expect. 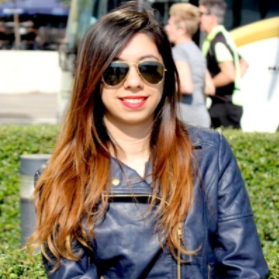 It is the epicentre of our life and the cathedral of all the French, whether religious or not." The President of the United States Donald Trump also took to Twitter to share the saddening news. There are many videos of the cathedral burning on the internet, but what brings solace is the moment captured on capture when the citizens stood outside Notre-Dame and collectively sang Ave Maria. Notre-Dame is an icon in France, but it's close to the hearts of millions who come to visit every year. 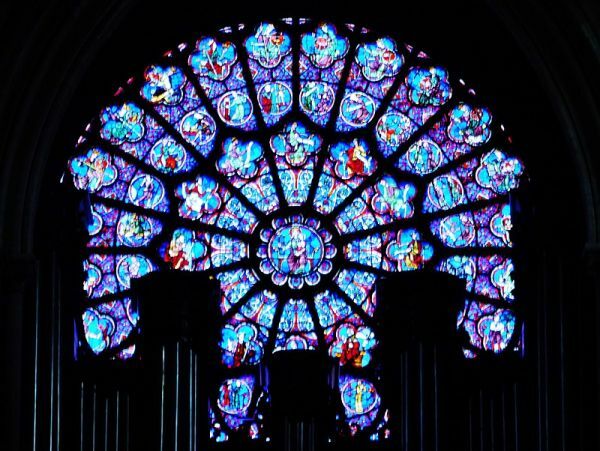 Read to know about the French cathedral and what makes it special. 1. 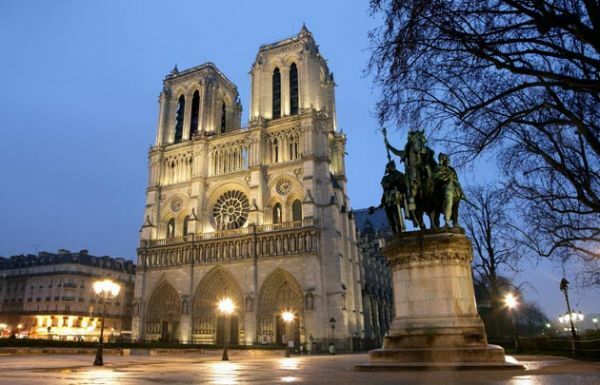 One of the finest examples of French Gothic architecture, the Notre-Dame was started in 1160 but completed by 1260. It is a UNESCO World Heritage site. 2. The cathedral celebrated its 850th anniversary in 2013. 3. It is the most visited monument in Paris. It experiences close to about 12 million footholds every year. 4. Its architecture sets it apart from the earlier Romanesque style. The innovative use of the rib vault and the enormous and colourful rose windows make it a visual delight. 5. It has two towers - North and South that are each sixty-nine metres high. The north tower is accessible to visitors by a stairway that has 387 steps. 6. 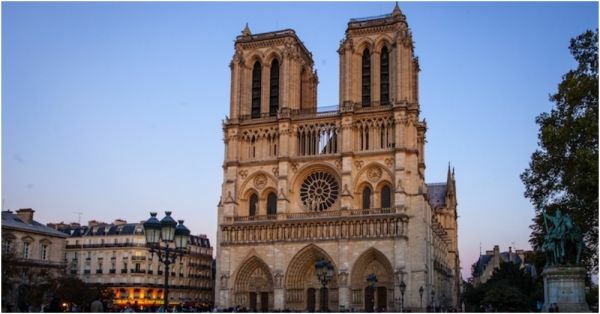 The cathedral became more known to the public after renowned author Victor Hugo wrote a novel on it titled The Hunchback of Notre-Dame in 1831. 7. Notre-Dame is home to the Great Organ, which is the largest organ in France. The organ has five keyboards and around 8,000 pipes. 8. The cathedral has eight big bells that weigh up to four tons each. 9. One of the most sought-after sculptures inside Notre-Dame is Virgin Mary holding a baby Jesus. 10. Pieces of the cross that Jesus was believed to be crucified on, along with one of the nails and a tiny piece of the Crown of Thorns that Jesus wore during his crucifixion, are kept at the treasury. 11. The church is beautified by paintings dating back to 1600s. Two of the most important are Saint Thomas Aquinas, Fountain of Wisdom, created by Antoine Nicolas in 1648, and The Visitation, created by Jean Jouvenet in 1716.